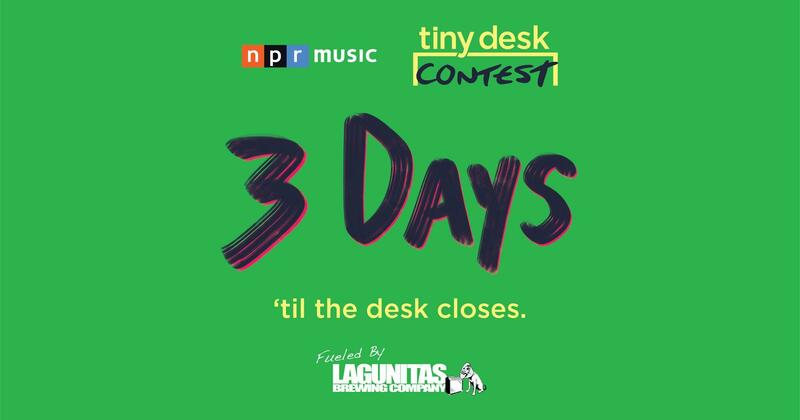 YOU BETTER HURRY AND GET YOUR TINY DESK VIDEO ENTERED! Previous winners will tell you - your video doesn't have to be anything fancy: Tank and The Bangas filmed their video on an iPhone in their friend’s classroom. Gaelynn Lea filmed her video on a cell phone in her office with her practice amp. Fantastic Negrito filmed his video in one take with an iPad in a freight elevator. Oh - and did we mention that Bay Area Tiny Desk Contest winner Fantastic Negrito won a Grammy for Best Contemporary Blues Album in 2017? Something to think about. WHAT ARE YOU WAITING FOR??? GO MAKE YOUR TINY DESK VIDEO, THEN GO HERE TO GET YOUR ENTRY STARTED - NOW! If you want to see some of the other entries this year, you can check them out here. The 2018 Tiny Desk Contest is open for entries until Mar. 25, 2018. Read the Official Rules for all the contest requirements.